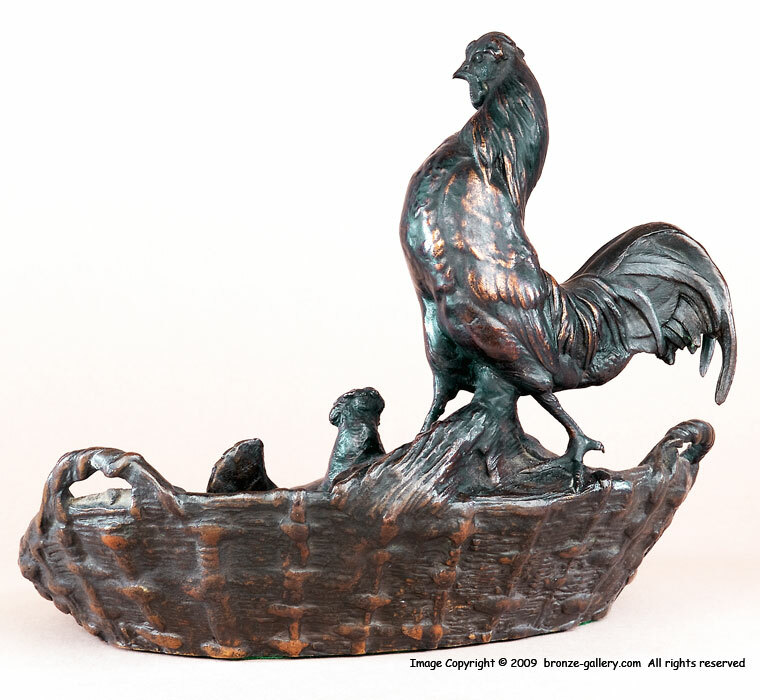 Auguste Cain was a fine Animalier sculptor and created many barnyard subjects. This bronze of a Rooster standing over a Hen sitting in a large basket with sheaths of wheat and a scythe is designed as a pin tray. This interesting model shows the chickens amongst the grain looking for mice which was a common occurrence during harvest time. The Rooster stands over his Hen while she rests in the basket. The bronze is beautifully designed and has sharp details in the cast, the handle of the scythe is even textured. 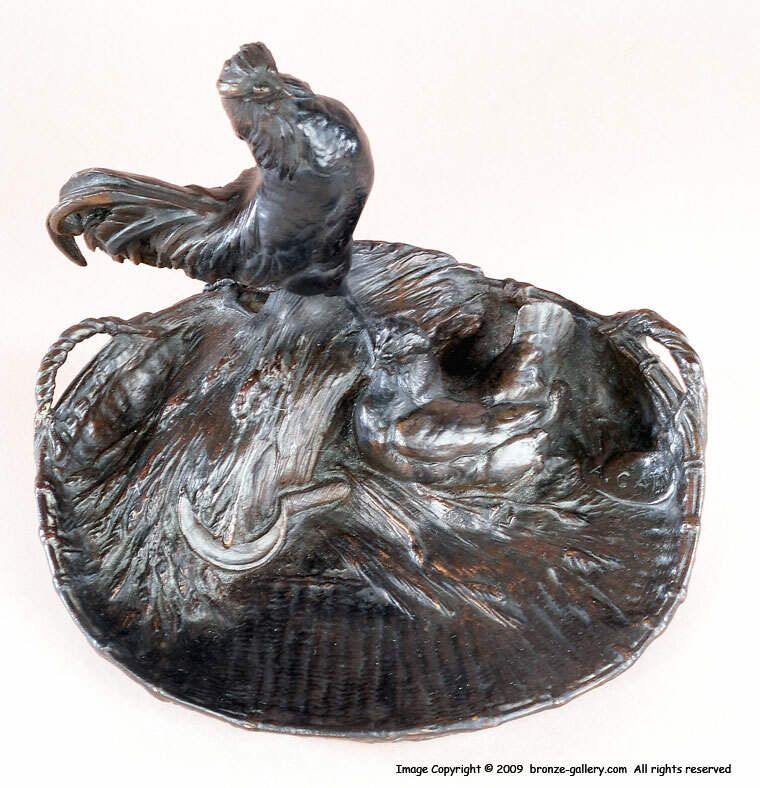 This rare bronze is finished in a rich dark brown patina. 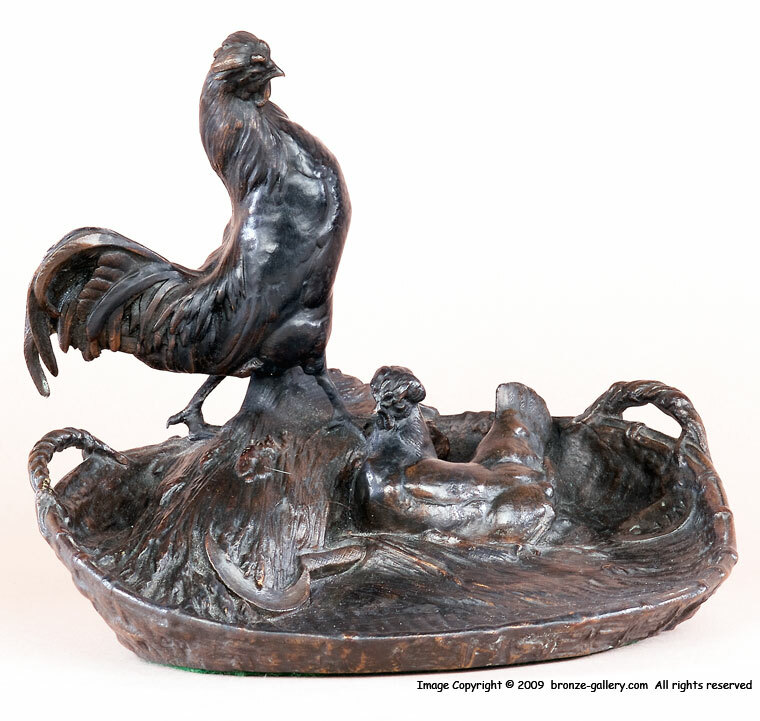 An early model, it was cast by Cain in Mene's own foundry.